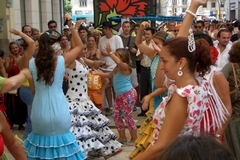 The opening address of the fair, "El pregon de la feria", which is read from the balcony of the Town Hall, in the middle of Malaga Park, signals the beginning of the festive days on the 3rd Friday in August. A huge spectacle of fireworks, light and sound is held a little later, on the stroke of midnight. 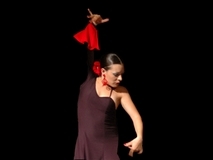 The inaguration in the El Real exhibition center takes place on the following day. 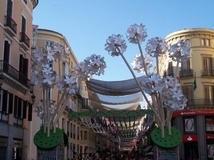 Thousands of people actively participate each year in the festive atmosphere of the Malaga Fair, during which the incorporation of the ciry in the crown of Castile by the Catholic Kings is commemorated. 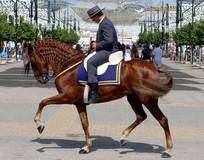 In addition to the bullfighting festival and the horses-harnessing competitions, a large number of acts are organised in the squares and streets of the city.